I read many personal finance, investing, fitness, and military related articles throughout the month. I learned everything I know about investing and personal finance from reading more experienced and smarter people's work. By sharing what I am reading with you, you can get smarter alongside me. Here's a link to previous edition: January 2017. 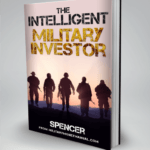 My book, The Intelligent Military Investor, is now available as a PDF here or on Amazon! 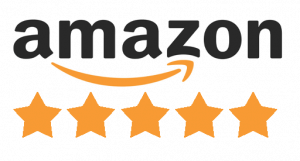 It currently has all 5 or 4 star reviews, with 82% reviews 5 stars. The amazon price is a deep discount from the PDF version. Both the PDF and Kindle version are DRM (digital rights management) free, so you can share the book with your friends, family, squadron mates, or anyone else you think may find it useful. It's a short read, taking most people 2-3 hours to get through it, but I think it may have a lasting impact on your life. Physician on FIRE (don't worry, he's not actually burning, just writing about financial independence and retiring early), recently updated his personal Investment Policy Statement. A good read and it is encouraging me to write down and publish my investment policy statement as well. I believe a market correction >20% is coming before 2022, so it will be good to have something written down to stay the course. Check the Shiller PE for warning signs of an impending crash. The MadFIentist writes about travel hacking and how he made it around the world for $948 and 106,500 miles/point. His Travel Cards tool is the best one I have seen yet for finding great opportunities to maximize your credit card sign up bonuses. I have signed up for several cards this year and will be writing about my experience soon. Jonathan at My Money Blog discusses Warren Buffett's 2016 letter to Berkshire Hathaway shareholders. Mr. Buffett always provides so excellent context and long term perspective for the state of the economy. Jonathan also wrote about how individual stocks do not outperform cash. Another argument for diversification. Sam at Financial Samurai writes why blogging is the best business in the world. With extremely low overhead and almost unlimited potential, I tend to agree. Tim Ferriss has a recent podcast about all sorts of random topics. Makes me want to travel to Japan. In regards to financial independence, this Reddit thread is a great philosophical discussion. Create the life you want, then save for it. I agree. Do not become so obsesses with FI that you sacrifice enjoying and living life now. I have started writing down exactly what makes me happy and what kind of life I want to create. It involves many topics and deserves it's own blog post. When designing your ideal life, it can help to move to a lower cost or higher quality of life area. The Earth Awaits is a fascinating website that lets you explore the cost of living and quality of life in various places around the world. I hope to live many places in my life. I am using that website to plan where some of those places may be. If you haven't read Mr. Money Mustache's primer ever or in a while on the simple math behind early retirement, you need to. It really awakened the motivation in me to start saving aggressively (40%+) for FI. It's an oldie but a goodie. The New Yorker has a funny piece on what it's like to work from home. My wife and I commiserate. Ramit Sethi can be a bit schlock-y and overdone, but his piece on the psychology of breakfast resonated with me. I believe that the small choices in life can be as important as the big ones. What you choose to eat or not eat for breakfast can have an impact on your entire day, week, month, year, and life. In that regard, I have been experimenting with skipping breakfast and eating two meals a day at lunch and dinner. Apparently this is now called “intermittent fasting” and is a community of fitness and health nerds. Again, this topic deserves it's own blog post, but I will say that IF did help me lose 25 pounds, look leaner, and have more energy throughout the day. Rather than just doing the same thing day after day because that's how you have always done it, try little experiments in your life and see what makes you happier, healthier, and wealthier. Thanks for the mention, MMM. Wait, another MMM?